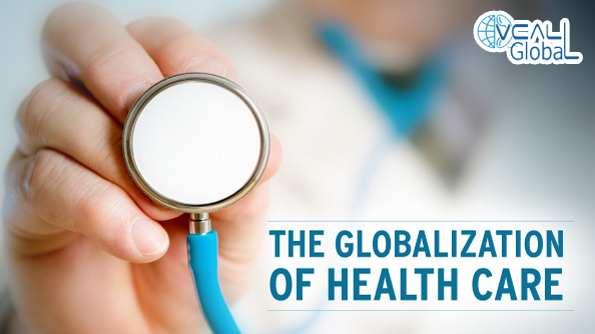 Home / healthcare industry / How call centers are assisting the healthcare industry? One of the basic aspects of a flourishing business is the need for an organized marketing setup. The fundamental of marketing is that it makes the services and products available to the consumers. After conducting a successful campaign the team members generally work in the leads generated but managing them is a challenge which is not possible for in house set up’s. That is why most of the industries sort assistance from a professional business process outsourcing firm where these leads are managed skillfully. Industries can range from banking sectors to real estates, telecom industry to insurance companies and healthcare industry. The techniques managed by call center firms vary according to the requirement of the industry; in short they provide customized solution to every industry which makes the services from these firms more reliable. The call centers schedules appointments of the patients which is followed by the process of verification regarding the health problems faced by the patient. According to the analysis the patient is then notified about the visiting time. The customer service representatives also send repeated notifications to the customer about the scheduled appointment. This entire aspect of notification and verification provides both the parties’ benefits in various ways as the doctor are made aware beforehand about the problems faced by the customer. On the other hand, the customer need not stand on queue. Few weeks after the examination the agent of call center ensures that the patient is in a good condition and if not they are advised to re-visit the doctor. This aspect of follow up calls has brought huge returns as it provides a personal touch to the patients when they are undergoing a rough patch. This part of marketing has bought immense benefits to the clients since this industry is associated more with the emotional value of the customer. IVR technology which is implemented by most of the call centers has assisted the customers with easy processing of bills and payments. The call centers take care of the payment processing which reduces immense work load of the client. The calls received during off hours can assist both the patients and the medical facility, as the medicines can be provided at the door step of the customer at odd hours without disturbing the offices. The patients in emergency require immediate assistance while the medical facility can create its goodwill. The medical facilities maximize their services of a call center in order to handle the excessive calls at times of emergency. In normal days however, when at times there is increased volume of incoming calls which can’t be handled but due to the assistance of telemarketing which beefs up the system and allow the medical facilities to respond to the incoming calls and perform many other tasks with ease. Before undergoing the above process the call centers ensure that the agents undergo extensive level of training because this part of the industry deals with one of the most crucial aspects of human life which is health. The agents ensure they are calling the right person to render their services and these calls are monitored constantly for their quality. For the purpose of business the call centers can provide the hospitals and medical practitioners with market research report regarding various topics like customer satisfaction, the effect of medicines etc. Besides carrying out just the support tasks the call center agents provide the industry with B2B lead generation. After all the agents are expert telemarketers and telesales which serve as their specialty. They perform B2B lead generation through cold calling and B2B appointment setting. Most of the agents have been tasked with event marketing where they invite maximum number of clients. The event mostly includes trade shows and medical conventions. With these services the call centers not only prove to be beneficial for the health care industry but they also manage to be an asset for the business aspect of this industry. Through these methods you can get an upper hand in dealing with the patients when it comes to your services and products. These methods have proven to be useful in providing additional prospects. The competences of medical telemarketing have proven to come in handy in different situations. Be it customer support or sales a medical telemarketing through a call center is a good partner to have in the healthcare field.